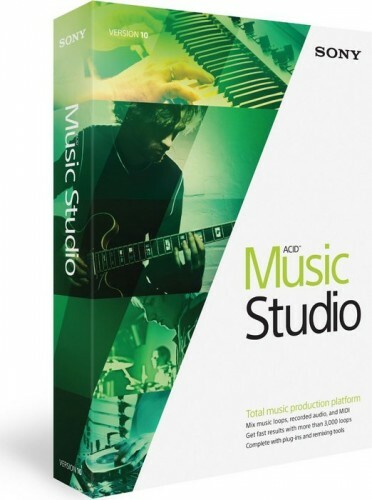 Magix ACID Music Studio 10.0 Build 134 134 Multilingual | Free eBooks Download - EBOOKEE! Posted on 2016-09-09, by everest555. ACID Music Studio is the perfect tool for loop-based music creation, audio recording, MIDI production, effects processing, and studio-quality mixing. Create and share your musicburn CDs, upload to the Web, or export MP3s for listening on your favorite portable players. With built-in tutorials to guide you, youll be composing, editing, and mixing like a pro in no time even if you're a newcomer to the world of computer music. With Ã©lastique Pro technology, you can perform dramatic time stretching and pitch-shifting of Beatmapped tracks while retaining maximum sound quality. MIDI input filters for tracks. Drum grid timeline editing mode with drum map editor. Multiport VSTi soft synth support. No comments for "Magix ACID Music Studio 10.0 Build 134 134 Multilingual".